Dust pollutes humans and workplaces. In power stations, cement and gypsum factories, mills and mixing companies, in the chemical industry as well as in smelting works, dust can have a very negative effect on the health of the staff. Through the use of air shower booths, companies prevent dust and hazardous substances being transmitted into restrooms, changing rooms etc. 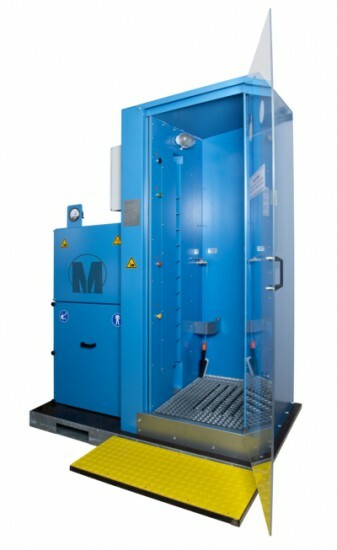 The air shower booth provides staff a simple option to purge themselves during working time, before the early morning and midday breaks and at the end of the shift.